Again time to test your observational visual skills. 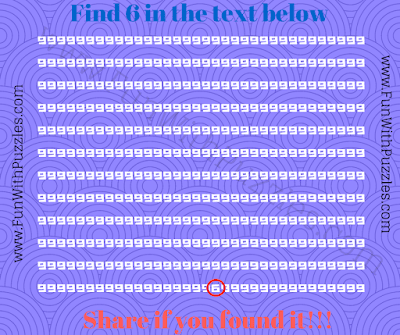 This the search puzzle in which your challenge is to find the hidden number in the puzzle picture. In this Picture Brain Teaser, set of number 9 is given and one 6 is hidden between these numbers. 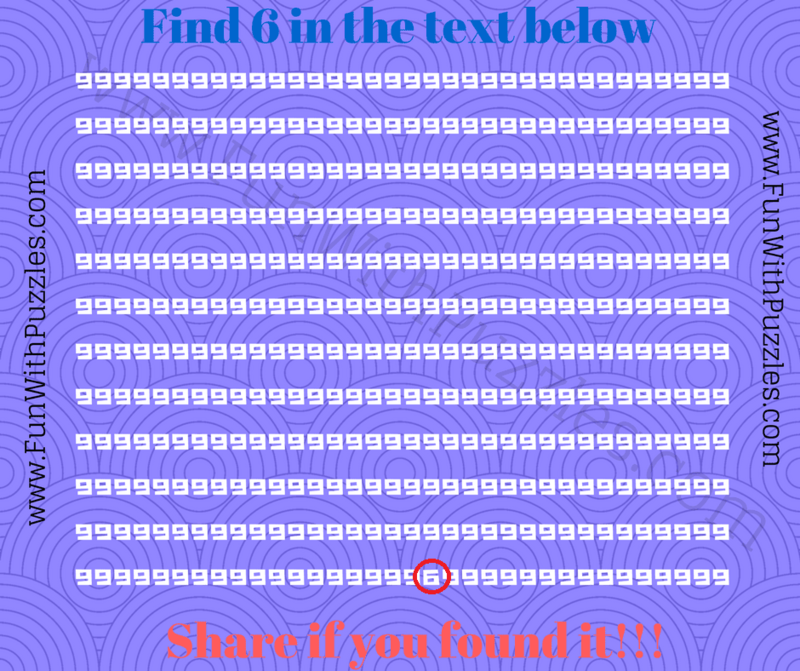 Lets try to find this hidden number 6 as quickly as possible. 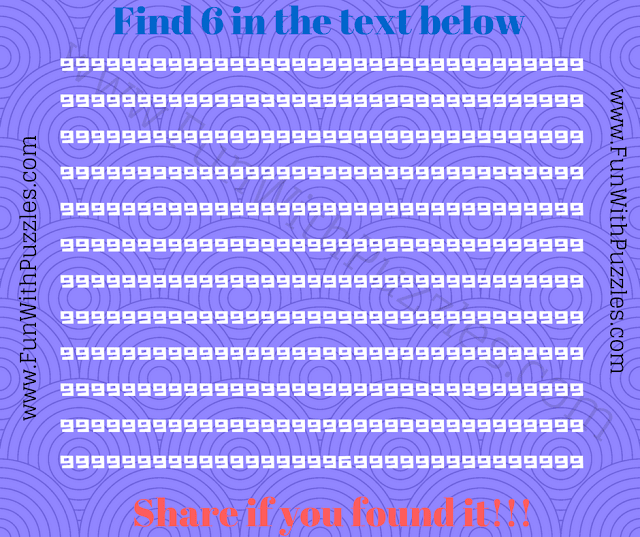 Can you find hidden number 6 as quickly as possible? Answer of this tricky hidden number picture brain teaser, can be viewed by clicking on button. Please do give your best try before looking at the answer.